Confirmed on IRC Blindcoder has the Bedford Falls map on a USB stick ready to go! Awesome map Ringo, me and 10+ others having tons of fun! Many thanks Blindcoder!, POI`s coming asap! so we cannot run a server with this map? i have looked on the user direction and in steam apps direction but nothing. Love the map, nice and big. Just started taking over the resident evil mansion. But found the fence incomplete around its borders. some fence parts are missing to the left of the mansion hidden behind the office block left. not sure if it deliberate or just missing. loving the map so far. i can seriously see the entire map filled with tons of buildings. but is their a hospital yet?? Oops I meant to ask how do we start a server running this map. Seems like we are not allowed to choose a spawn point when join a server. I can't find Bedford, yes Ive downloaded it and installed, but I'm trying to reach it from Muld by heading east and twice I just reach the edge of the map. Need a reference on the original map to head directly east from so I cant miss it please, is it higher or lower than the train yard for example? I know you can spawn there, but I'm playing on an open server that's hosting it and I dont wanna start a fresh character to get there. Getting sick of wandering around the woods. I think you don't have the map correctly installed. When you choose Muldraugh as a spawning point, you should spawn in Bedford Falls and not need to go anywhere. Someone correct me if I'm wrong as I haven't actually tried it my self. I intentionally spawned in West Point when I started as I had heard Bedford was already looted so I wanted supplies before going there, but now I wanna travel to Bedford after walking to Muldraugh. So I've had some help from AliceCooper who is running a Bedford map server with these handy directions, http://oi58.tinypic.com/wtytj.jpg turns out it's east of the trailer parks above Muldraugh, not really east of Muldraugh, very misleading. I will bribe Blindcoder and see if he can make a complete map (roads should be added soon i believe, not inter-connected atm). I didn't realize there were map packs available! I installed and its running perfectly. However, on build 25 IWBMS branch, v3, my char. is perpetually bald, and there seem to be very few zombies around in the newb zone. Not sure if thats by design or not-- am going to begin exploring further. All I've really found are a few fridges full of food and a frying pan, so its an interesting start to say the least. Anyway, it's little cheating, in case in one floor i can found ~10 curtain. And on 2nd floor there is door with barricade, BUT this door open only wall. Yep, there is no doorway, only wall behind the door. Bedford Falls spawn area can be a bit low on zombies @ start of a map / server. In MP the admins add a bit extra . Seriously, I _have_ considered it, but tiling the entire Survival map (which would obviously be part of this) takes at _least_ 12 hours and has to be redone entirely with each updated cell. While it's still under construction that's just a waste of time and resources. It's possible to extrapolate from that. Is there a tool for spawning zombies in SP? Not that I know of thiosk.Maybe someone else knows how? Wrong topic man, but thanks (post it in the "Server forum"
Hehe yea, just noticed that myself. In steam I don't see a: iwillbackupmysave build in properties>betas. Should I use 25.b? edit: I don't understand what to do. 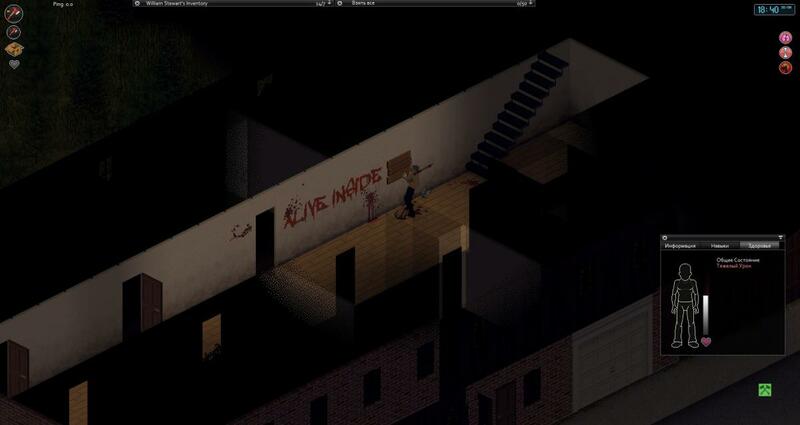 Do I put the whole map 'media' in the zomboid folder or just the 2 maps inside it (Lua, Maps). I still spawn on Muldraugh atm. If I may give a point of critique: I spawned in the north 2 times in a row (dunno if that's the only spawn or not) and got 5+axes, 5+saws, a gardening tool, 5+ hammers and 2300 and 800 nails in both saves. I found ALL of this in the area south of the spawn close to the bank (that gave me 3 shotguns and 200+ shotgun bullets). Way too easy at this stage of the game. Were you playing alone on the server, allot of players, fresh restart? Sounds like allot of loot, gathered all in 1 loot run?